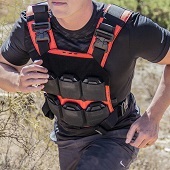 AR500 Armor® Back Body Armor is designed to be worn in the back side of your plate carrier, however, due to our Patented Advanced Shooters Cut (ASC) (US9021621 B1, 5May2015) it is now designed to be worn as front or back body armor. The Advanced Shooters Cut allows improved shoulder movement when worn as a back plate, with minimal coverage loss. We also offer traditional square cut back plates which offer maximum coverage, however they may not fit in all carriers. All AR500 Armor® Body Armor is 100% made in the USA and manufactured from our rugged and reliable ballistic core designed specifically for Armor applications.